Sat nav users should enter BA14 8XR for the nearest point to our car park in Bythesea Road. Parking for 1,000 cars undercover and open bays (charges apply) Blue badge holders are exempt. 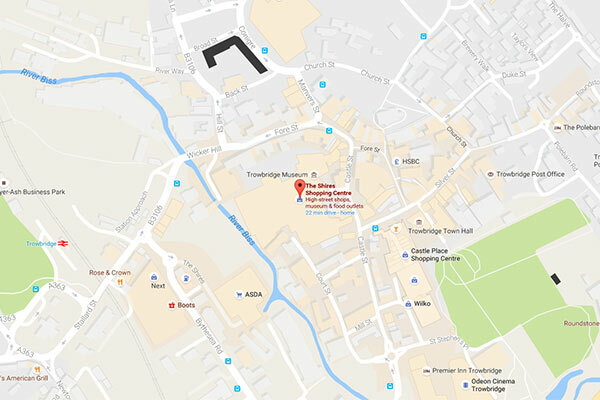 The Shires Shopping Centre is an approx 15-minute walk from Trowbridge train station. The nearest bus is directly in front of Castle Place, there are also an eight car taxi rank in Market Street and a three car taxi rank in Castle Street.